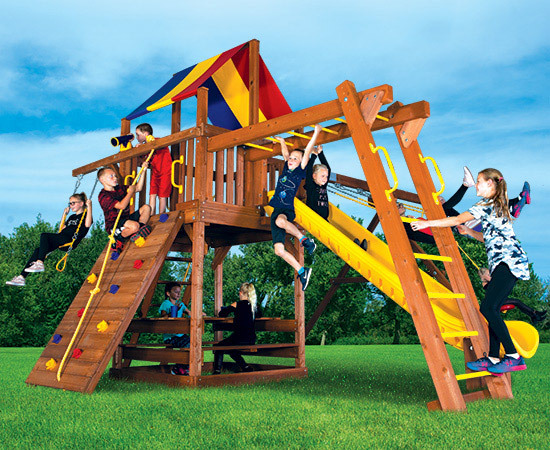 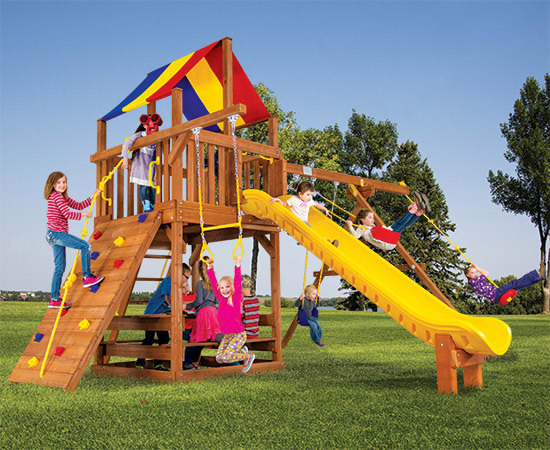 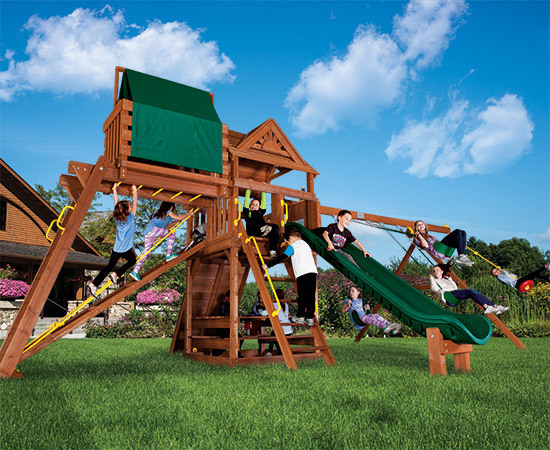 These playsets feature full Rainbow style super duty construction and detail. 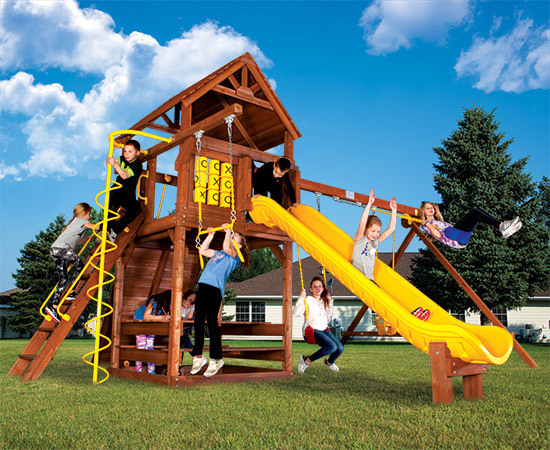 The Carnival Clubhouse has unmatched versatility and design freedom from all 4 sides and offer you incredible play value for your playground dollar with pre-engineered, modular and expandable designs. 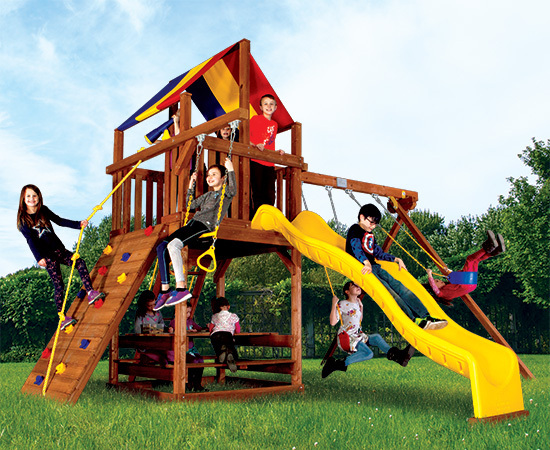 Similar in size and construction detail to other manufacturers, but with Rainbow upgraded features and quality standards. 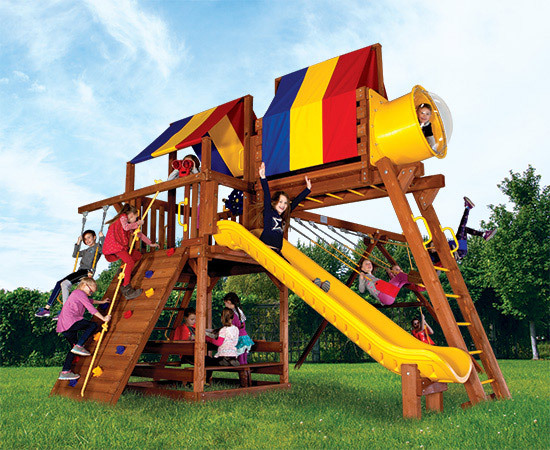 Carnival Clubhouses have all available options, add-ons and accessories!